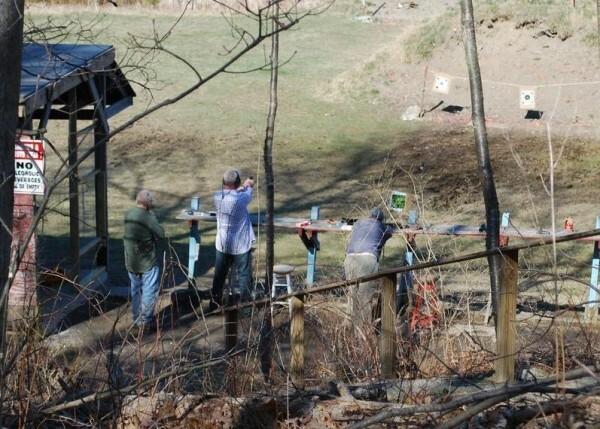 Club members take aim at targets in 2012 at the Spurwink Rod & Gun Club on Sawyer Road in Cape Elizabeth. 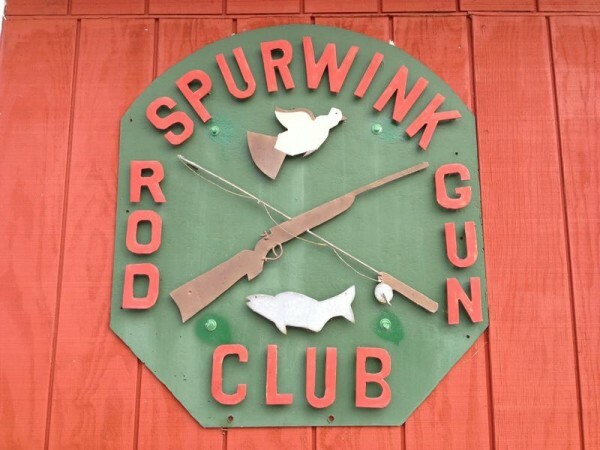 The Spurwink Rod and Gun Club has been on Sawyer Road in Cape Elizabeth for 57 years. CAPE ELIZABETH, Maine — The Cape Elizabeth Town Council has only just begun its review of a proposed shooting range ordinance, but members of the Spurwink Rod and Gun Club already believe the club will end up suing the town. The council’s ordinance committee met Jan. 10 to review the proposed ordinance with attorney Kenneth Cole, who authored the document using National Rifle Association standards and similar ordinances from nearby communities as guides. The committee worked through more than half of the nine-page ordinance and agreed to meet again at 8 a.m. Friday, Jan. 17, to continue its review. “We’re trying to put together an ordinance that will hopefully put some clarity to the pieces, because there’s a lot of rumors going around that really aren’t based on fact,” Councilor Katharine Ray, chairwoman of the ordinance committee, said. The ordinance addresses permits, registration, compliance, maintenance, shot containment, noise mitigation, liability insurance, hours of operation and more. It also calls for the creation of a firing range committee to ensure compliance. The ordinance committee reviewed the potential makeup of that group and agreed it should include two councilors, one member of the gun club, and two citizens-at-large, one of whom should have NRA expertise. The police chief and code enforcement officer would serve as nonvoting, ex-officio members. Cole noted the ordinance cannot target a specific user, which is awkward in this case, he said, because the club is the only shooting range in town. During a public comment period, resident Bobbie Manson suggested the ordinance focus more on public safety, noting that the document has as many references to safety — three — as the town’s sign ordinance. Resident Cathy Kline questioned the wisdom of the ordinance language regarding hours of operation, which relies on sunrise and sunset. She said using a standard time reference could avoid confusion and lead to fewer complaints from neighbors. The club, which has existed on Sawyer Road for more than 50 years, has feuded with neighbors since the 1990s, when the abutting Cross Hill subdivision was built. Cross Hill residents have expressed concerns about stray bullets, safety and noise. Their complaints have escalated in recent years, leading to the Town Council’s pursuit of a shooting range ordinance. “It boils down to a whole bunch of affluent people who moved in around us and all of a sudden, they think their rights trump ours,” Mayone said. “That’s not even close to being what’s considered fair. It’s bothersome to think that the Cross Hill neighborhood, just because they’re all monied, that they get to have their way, and the only reason we’re in here right now is because of that issue. Eric Frehm, a representative of a group called the Committee to Keep Cape Elizabeth Safe, which has advocated for regulation of the club, said in an email that members of the group declined to discuss the proposed ordinance. Mayone, who has served as president of the club for 2½ years, said the club is in the process of selecting someone to succeed him. After a new president is chosen, Mayone will serve as the club’s media manager and liaison to the town. He said safety is a priority for the club, which has plans to go beyond shooting range standards and implement a “no blue sky” design. That design, which is not a roof, includes a set of baffles that extend out from the firing line and improve shot containment; it would not apply to shotgun use, Mayone said. Mayone said the club’s thin budget and the likelihood of a future lawsuit are slowing implementation of the “no blue sky” design and other club improvements. He said the club’s attempts to reach out to its neighbors have largely been rebuffed, and believes Cross Hill residents won’t be satisfied until the club is gone.